Framing is something that photographers think about, where to place their subject in an image. In this case, the light suggests the frame, literally illuminating the subject and throwing everything else into darkness. The edits I have done are minimal. 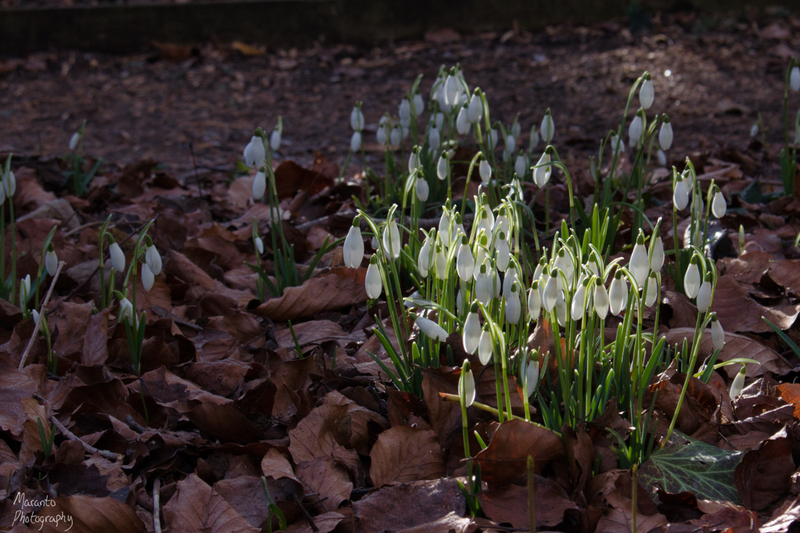 The crop to accentuate the lit snowdrops, and a bit of sharpening. What do you think of the edit? I feel like I am often looking for and chasing light, do you identify with that statement? Your thoughts are welcome below. Added to A Photo A Week, Unexpected Windows. Also, City Sonnet, Starts with the letter G.
Thanks very much for your comment. I cropped this a few different ways and went with this one, for this post anyway. I was thinking this morning as I was writing up the post that I might rethink and do another version with less of a crop. 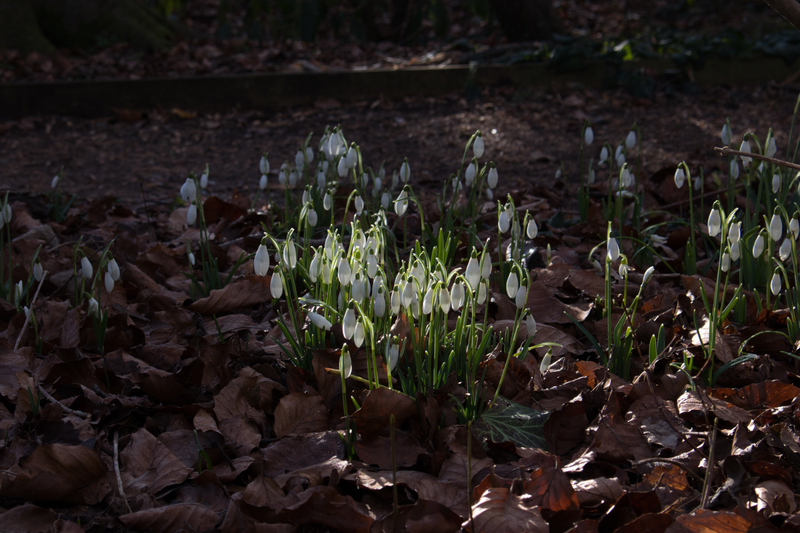 The photo is all about the light highlighting the snowdrops against a dark background. It’s lovely. Beautiful light capture! I like how you crop the photo. Thank you, I’m glad you like the crop. Amy that is such a great tip! I’m going to keep my eyes open for that type of lighting. As you say it only lasted a very short time so good to be on the ball and get the photo. Your editing is beautiful. Thank you Sue. I’m not usually out by myself, just taking photos, so it was nice to just be out walking and looking for light. I agree, I’m not a huge fan of winter, but I do love these winter flowers. Thank you very much. The original image does have quite a bit going on it. I may at some point re-think the crop a bit and change the story a bit. Great work 😺. Sue and I loved Anglesey Abbey when we went last summer! One of the nice things about Anglesey is that their gardens are quite varied, so you can go often and see something a bit different each time. I like it there, but on a weekend such as this past weekend, I was there at the opening (which they made earlier recently) so that I would avoid the worst of the crowds. I agree snowdrops are beautiful. Lady Serendipity sure smiled on you with this image! Yes indeed 🙂 I was grateful. Stunning! The light, increased and focused by your edit, is ethereal and magical! Thank you, I’m glad you like the edit. Yes, they are a favorite of mine. I have to remind myself to chase light rather than subject – your framing is Rembrandtesque!